Yes, you read that correctly. 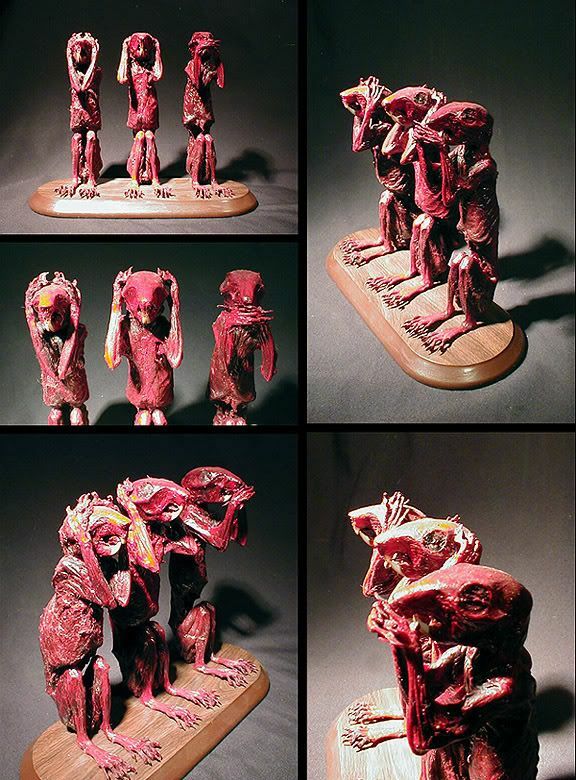 It's taxidermy "art" and some of it is really interesting, despite what it's created out of. Some of you may be offended by this or simply grossed out, but there are several things that are no more "disgusting" than a rabbit's foot "good luck charm" or a mounted deer head that people possess. Above, you have "Punk Rock Head" and below is "See No Evil." Ack! What are those things in the bottom pictures?